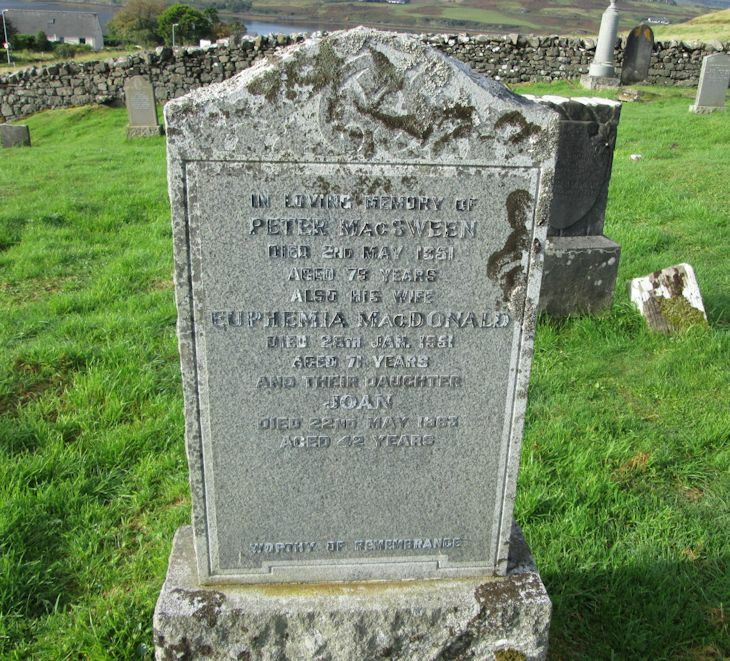 Skye Gravestones | Peter & Euphemia (MacDonald) MacSween, d. Joan. Peter & Euphemia (MacDonald) MacSween, d. Joan. In loving memory of/PETER MacSWEEN/died 2nd May 1951/aged 79 years/also his wife/EUPHEMIA MacDONALD/died 28th Jan. 1951/aged 71 years/and their daughter/JOAN/died 22nd May 1963/aged 42 years.